KAMPALA- The Ministry of Finance tabled before Parliament a statement on the State of Uganda’s Indebtedness on Tuesday evening. The statement revealed that in June, Uganda’s total public debt stock which comprises both domestic and external has now hit the USD10.7billion equivalent to Shs41.326.1Trn. In the statement presented by David Bahati, State Minister of Planning, he indicated that out of the debt, the external debt Disbursed and outstanding (DOD) accounts for 67.2% (USD 7.2bn which is equivalent to Shs27,939.9Trn while domestic debt contributes 32.4% (USD 3.5bn or Shs13,386.2Trn. The statement further highlights that the Present Value (PV) of public debt to GDP increased from 27.4% as at end June 2017 to 30.8% in June 2018. 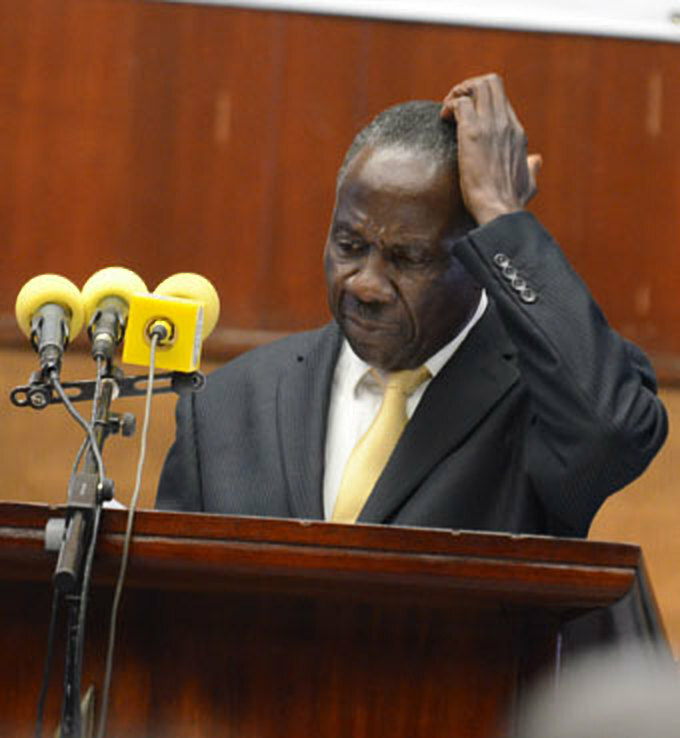 On the Creditor composition, the Ministry argued that a greater share of Uganda’s debt disbursed and outstanding is sourced from multilateral creditors like World Bank, African Development Bank, Islamic Development Bank and it accounts for 68.2% whereas bilateral creditors Japan, France, etc accounts for 31.1% and commercial banks contributes 0.7% of the total external debt portfolio at the end of June 2018. Yet still, the share of Treasury Bills to Treasury Bonds has improved to a ratio of 26:74 in June 2018 from a ratio of 31:69 in June 2016, achieving the target share of T-Bills to T-Bonds of 30:70 under the 2013-2018 Public Debt Management Framework. In terms of Currency composition, 92% of Uganda’s stock of external debt is in four major currencies including; USD, Chinese Yuan, Japanese Yen, and Euros while domestic debt, on the other hand, is all in denominated in Uganda Shillings. In terms of off Debt disbursements by Sector, the four largest biggest beneficiaries of debt financing by sector are; Energy, Works, Agriculture, which sectors he said are consistent with the government strategy to reduce the cost of doing business, develop infrastructure to boost growth, energy for support industrial development. The ministry further analysed the public trend of Uganda’s public debt and its sustainability which indicated that over the last ten years, the stock of public debt has steadily grown from USD 2.9bn in 2006/2007 when the country benefited from the Multilateral Debt Relief Initiative (MDRI), to USD 10.7bn as at June 2018. The Minister further argued that Uganda’s public debt stood at 38.6% of GDP in March 2018, and it is likely to raise slightly as we incur more debt to finance government infrastructure priorities. We are committed to ensuring that debt does not exceed the 50% threshold that we agreed under the East African Monetary Union convergence criteria.